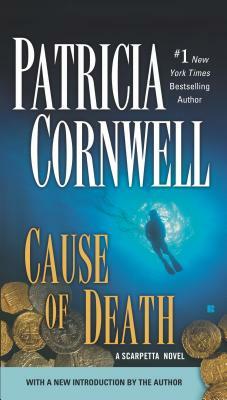 Dr. Kay Scarpetta plunges into the murky depths of a ship graveyard to recover the very human remains of Ted Eddings, an investigative reporter. Together with her niece Lucy and police captain Pete Marino, Scarpetta will follow the scents of death and violence to the heart of sinister darkness. Patricia Cornwell is considered one of the world's bestselling crime writers. Her intrepid medical examiner Kay Scarpetta first appeared on the scene in 1990 with Postmortem—the only novel to win the Edgar, Creasey, Anthony, and Macavity awards and the French Prix du Roman d'Aventure in a single year—and Cruel and Unusual, which won Britain's prestigious Gold Dagger Award for the best crime novel of 1993. Dr. Kay Scarpetta herself won the 1999 Sherlock Award for the best detective created by an American author. Ms. Cornwell's work is translated into 36 languages across more than 120 countries.